HAPPY NEW YEAR EVERYONE! Did you have a fun count down? Mine was pretty comfy with my boyfriend lying on the sofa watching the Korean entertainment show & counting down 2 mins late because we weren't looking at the time. lol. And along with my tradition, we cut a cake to celebrate the new year! 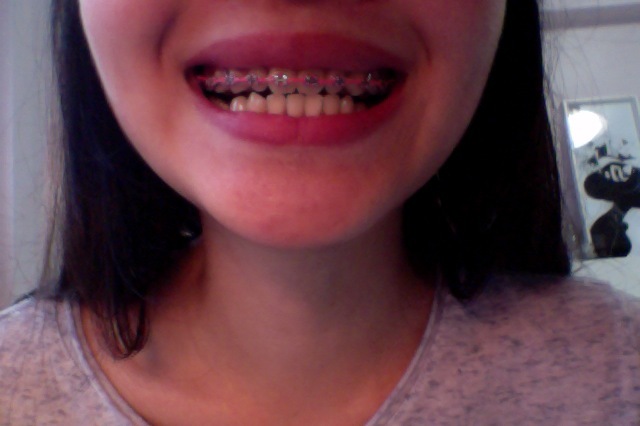 Ok, I'm updating about my braces journey again. Honestly guys, i'm not very happy with the results. (crying face). Before i talk about it, let me share my condition with you all first. 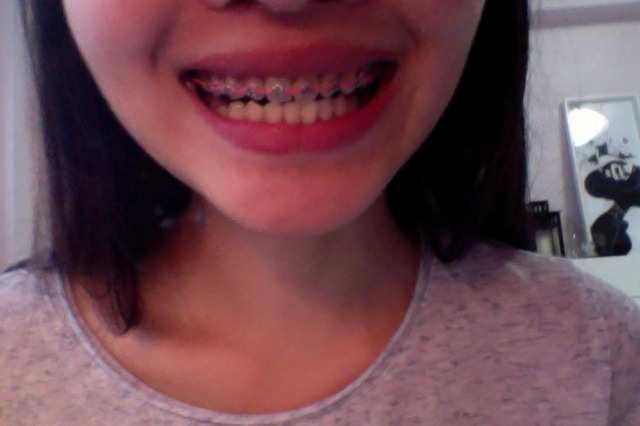 I'm currently having ONLY the top braces. My bottom teeth is completely not under treatment aka i leave my bottom teeth out because i was only concerned with my top teeth. You could have guessed it by now why i'm not happy then. 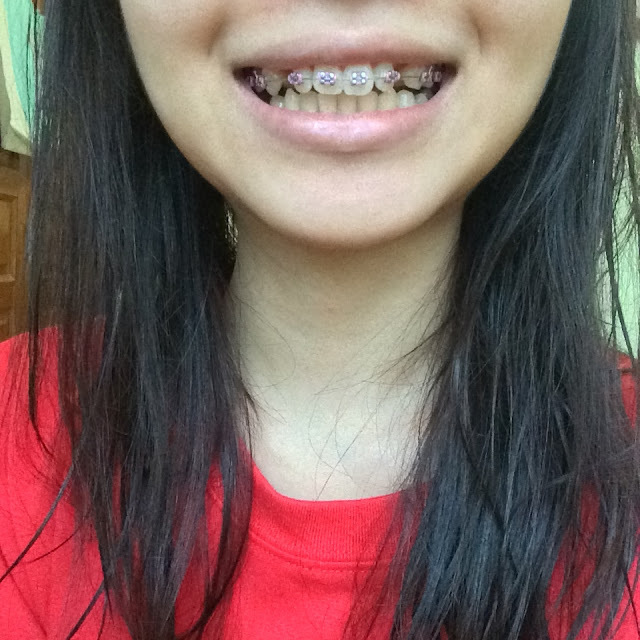 My top teeth are all straightened and proper now BUT it makes my bottom teeth look crooked! To start off, my bottom teeth is fine. 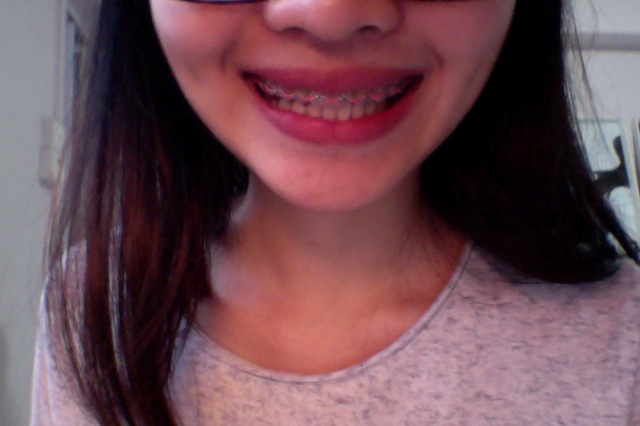 But when my top teeth are straightened out now, it makes my bottom teeth look a bit messy? I will show you a picture now to what i mean. If you view just my bottom teeth alone, it looks fine right? But when you see it with my top teeth, it doesn't match. right??? 1. So my bottom teeth doesn't look 'as straight as' it was supposed to be (visually). 2. BITE BEING CONCENTRATED IN THE MIDDLE. 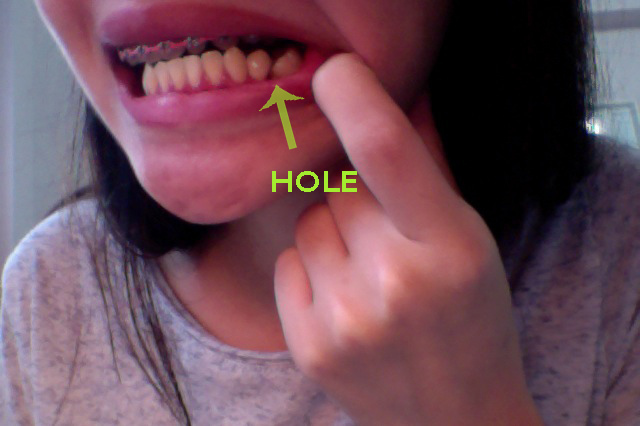 Because i had my two top baby canines extracted, the closing of the gaps made my top set of teeth going inwards as well. So imagine now the bottom remains the same while the top is going a little inwards. This results in my bite being concentrated in the middle which feels rather awkward because i used to have my bite being concentrated at the back. Of course this is taken from an upward angle, showing you a clearer picture of my teeth. If i take it slightly from a downward angle, the situation is less obvious. I mean like this (taken from a slightly upward angle instead). Now it becomes less obvious right??? 4. Because i also extracted my ingrown adult tooth at the bottom (You can refer to my previous post for my x-ray. There is one ingrown tooth at the bottom) 9months after i put on my braces, the teeth sandwiching 'it' are now getting more slanted as there's no support for them anymore. Last time it used to be my ingrown tooth supporting them. 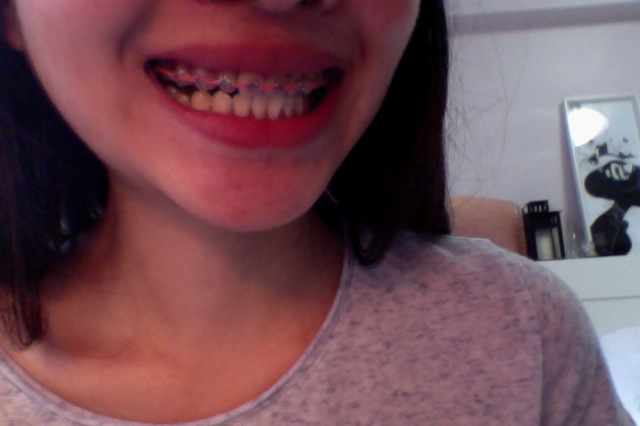 I dunno how to explain this but i will show u a picture of my current bottom teeth now. You see the bigger tooth and the smaller tooth that are forming like an inverted V shape now??? They are not straight and they might become my nightmare in the future because there forms a big hole between them as i don't have my ingrown tooth supporting them anymore. The ingrown tooth has to be extracted because it was suddenly growing out from my gum and apparently it grew out 13 YEARS LATE -.-"""" . Obviously i have no more space for it to grow out already as the teeth beside it has taken its space. Guys, that's the thing about extracting your baby tooth when you are young. PLEASE MAKE SURE THAT YOUR ADULT TOOTH IS READY TO GROW OUT BEFORE YOU EXTRACT YOUR BABY TOOTH. If not, the other tooth might start growing out and cover/occupy the space. And then your poor tooth will be forever stuck inside the gum. YEAP... so far those are the problems i'm facing now. If you wonder why my alignment is not correct (meaning the top middle teeth and bottom middle teeth are suppose to be properly aligned), this is because i have one missing tooth (The one stuck in my gum in my reason number 4 point). And sadly, this can't be corrected UNLESS i go and extract the same tooth and the other side. Looking at my situation now, what do you think? Actually while i'm typing this, i feel that its not so big a problem now (looking at the pictures). Overall it looks ok right??? In picture 3, it looks normal and that's how usually people smile in photos. LOL. I was a bit paranoid just now. Awesome, both sides are closing. Just a little bit more to go. 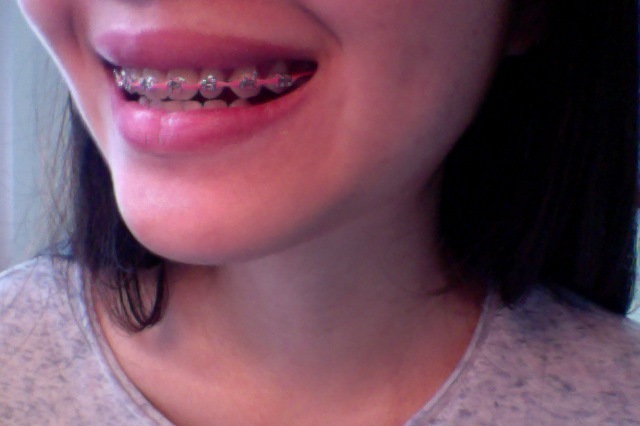 At the end of my braces, i will share a tip on how to expedite your treatment time. hahaha. Previously, it was like this. 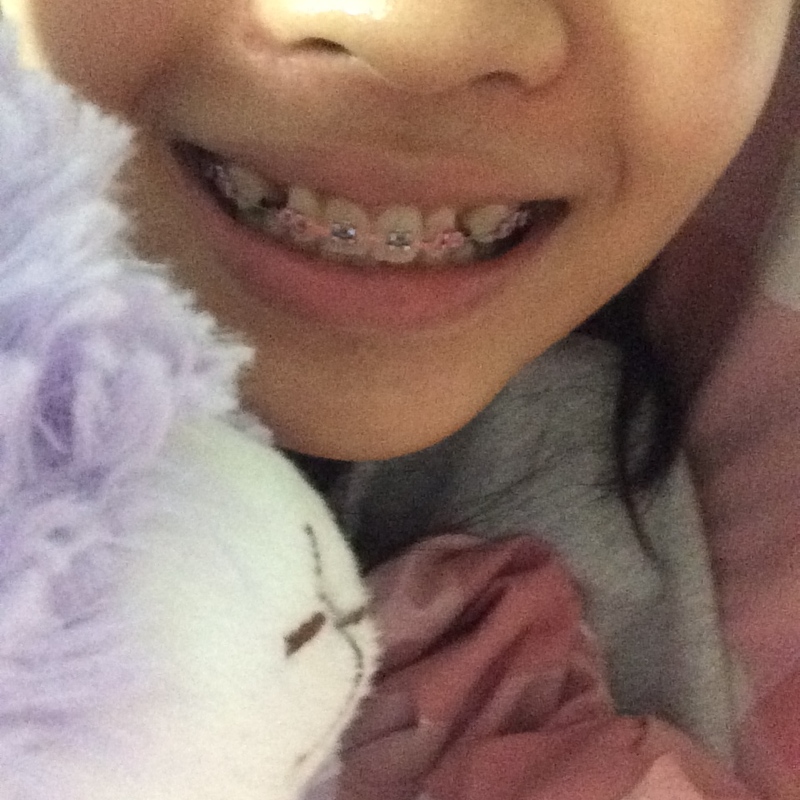 I like how my top front teeth were protruding out a little :( ... But after braces, this is gone. This looks nice right??? If only it was like this and the gaps were close. Ok let me make a comparison again. And 12 months later. Looks like i'm using strength to smile. But i didn't. 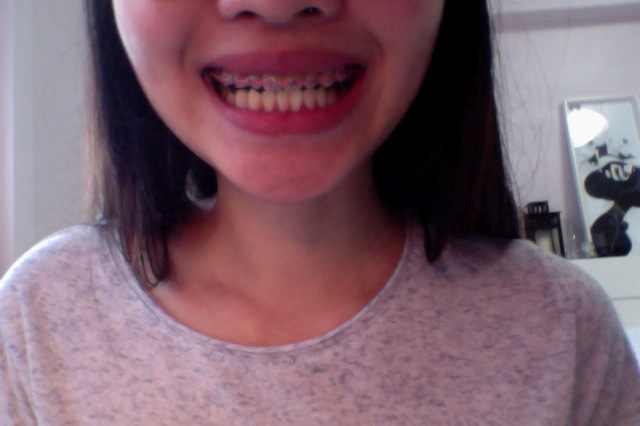 Ok la, i can see my teeth look neater now. HAHA. Just that i'm seeing slightly more gaps between my top & bottom? And that my bite is more concentrated in the middle now. So i have a bit of bite problems. It's ok. Not very serious... I guess i will fix my bottom teeth too maybe 1 or 2 years later. Why not do it now you ask? Because i don't want to see my braces anymore!!!! Unless if the doctor tell me i still have 8 months to go, then i will do my bottom too since it takes around that time as well. But i'm highly guessing i'm about to be done soon as this coming treatment will be my LAST PAYMENT $107. woohoo! Will end here. Have a great day everyone! This is a nice post dear. It was quite impressive for me as I am also going to have dental braces for my front teeth. I am trying to find any good and affordable dentist Manhattan Beach for the treatment. Hoping to find professional services soon!